Minor Hotel Group will open a new Anantara property in Dubai in early 2018, it has been announced. 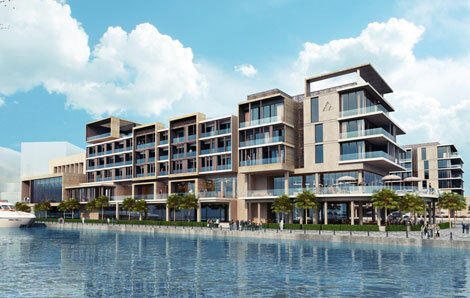 The 290-room Anantara Dubai Creek Hotel will be located in Culture Village, which is currently being developed in the east of the city and faces Dubai Creek. The property will have a range of restaurants, bars and retail outlets, a rooftop pool and a spa. It also boasts waterfront views from its ballroom and conference facilities. MHG is developing the hotel in conjunction with partner Dubai Properties. The Anantara brand is experiencing a rapid expansion of both leisure and business hotels. The former Four Seasons Bangkok will be reflagged as the Anantara Siam Bangkok Hotel on March 1 (see news, January 7). Located on Rajdamri, the 354-room property will become the 33rd Anantara. Anantara is one of ten brands owned and managed by MHG, which now has a portfolio of over 126 hotels and resorts in 22 countries across Asia Pacific, the Middle East, Europe, South America, Africa and around the Indian Ocean. Other brands include Avani, Per Aquum, Oaks Hotels & Resorts and Tivoli. MHG has already this year announced the strategic acquisition of six Tivoli hotels in Portugal and Brazil, as well as the rights to the Tivoli Hotels & Resorts brand for Brazil. The investment includes hotels in both Lisbon and Sao Paolo. Tivoli is a member of Global Hotel Alliance, which three of MHG’s existing brands – Anantara, Avani and Per Aquum – also belong to.